← FIFA’s provision on the protection of minors - Part 1: The Early Years. By Kester Mekenkamp. This blog will focus on the exception contained in article 6(3) Annexe IV of the FIFA-RSTP. According to this article, when “the former club” fails to offer a contract to the player, it loses its right to claim training compensation from the players’ new club, unless it can justify that it is entitled to such compensation. Instead, the right of “previous clubs” to training compensation is fully preserved irrespective of their behaviour with the player. From a legal standpoint, such discrimination between the “former club” and the “previous clubs” raises some questions that I will try to address in this paper. For that purpose, the author will depart from the restrictive interpretation of article 6(3) adopted by the FIFA Dispute Resolution Chamber (DRC) and continue with a substantive assessment of the rule, firstly by looking at its purposive aim and secondly, by evidencing the potential negative impact on players’ mobility and its inherent anticompetitive effects. In summary, as a general rule, the former club of the player loses its right to claim training compensation if it fails to offer the player a contract in the terms described by the article, or cannot demonstrate a legitimate interest. So far, the DRC has been consistent in interpreting that the obligation to offer the player a contract lies exclusively with the former club of the player as opposed to the previous clubs. In other words, the previous club is entitled to ask for training compensation when the player signs the first professional contract no matter whether they offered the player a contract or showed bona fide interest in retaining him. At first glance, this rigid interpretation might appear controversial in light of the more pragmatic approach towards the formal requirements of article 6(3) adopted in the CAS award 2009/A/1757 between MTK Budapest v. FC Internazionale Milano SpA. In this case, in order to conclude that MTK Budapest was still entitled to request training compensation despite not having offered the player a contract in the terms indicated in the regulation, the adjudicating Panel emphasized that “[the] aims of sporting justice shall not be defeated by an overly formalistic interpretation of the FIFA Regulations which would deviate from their original intended purpose”. The DRC has thus systematically admitted claims of previous clubs against clubs that have registered professional players for the first time (e.g. DRC decision of 17 May 2016) without delving into whether such clubs are indeed entitled to training compensation or not. In an attempt to defy such dogmatic approach to the issue, I question whether the different references made in Annexe IV of the FIFA RSTP to the “former club” could and should instead be interpreted more extensively, so as to include all former clubs (thus including previous clubs) where a player has been registered. Firstly, by having a look at the systematic context of the rule and its purposive interpretation, and secondly, by taking into consideration the potential competitive disadvantages between European clubs resulting from the regulation. It appears therefore, contrary to the spirit of the rule that a club that has shown no interest in keeping the player as a professional, a roster or for its academy, can at a later stage request to be rewarded for the training of that player, irrespective of whether it was the former club, strictly speaking, or the former former club, so to speak (i.e. the previous club in the RSTP exact wording). One could easily argue at this point, and I would subscribe to it, that at very young ages it is either legally prohibited for training clubs to offer a contract, or unreasonable to require clubs to offer contracts to all its players in order to safeguard their potential right to training compensation. This was highlighted by the CAS Panel in the CAS award 2006/A/1152 ADO Den Haag v. Newcastle United FC which was the appeal against the above cited DRC Decision of 27 April 2006. However, nothing prevents training clubs to at least show a genuine interest in retaining the player as an amateur by formally offering him to continue training with them or even through a simple positive evaluation of the player. In order to alleviate the unreasonable burden that such obligation would suppose on training clubs, a solution could be to require the genuine interest at least, for players as from the season of their 16th birthday. This would coincide with the age when in most EU countries players are legally allowed to sign employment contracts, and form a strict sportive perspective, the age from when training compensation is calculated in full according to article 5(3) of Annexe IV. The final reference in article 6(3) (i.e. “This provision is without prejudice to the right to training compensation of the players’ previous club(s)”) helps to ground this interpretation. It is difficult to justify from a legal standpoint, why previous clubs should be exempted (as they, in fact, are) from observing the same rules and obligations as the former clubs, especially considering the principle of free movement of workers in the EU. The right to claim training compensation is, being redundant, “without prejudice to the right (…) of the players’ previous club(s)”. Previous clubs should therefore, demonstrate as well their entitlement to training compensation by evidencing a genuine interest in the player, such as former clubs do. To illustrate the situation, consider the case were an EU football club omits to offer one of its players (e.g. 18 years old) a professional contract in the terms of article 6(3) of Annexe IV, and that player further registers as an amateur with another EU club for one season. That second club also fails to offer the player (now 19 years old) a professional contract. After two seasons as an amateur, the player, finally signs a professional contract with a third EU club at the age of 20 years. The current interpretation of the exception leads to conclude that the first club, which failed to offer the player a professional contract, perhaps because he was simply not sufficiently interesting to retain, would now be reinstated in the right to claim training compensation, while the former club, under identical circumstances and reasons would be deprived from it. Within those parameters, de lege ferenda the exception of article 6(3) could reasonably be extended to those previous clubs that failed to show the so-called bona fide interest. This way, by failing to show real interest in keeping a player, the previous clubs would be also prevented from asking training compensation upon the first registration of the player as a professional, to the same extend as the former club when it fails to offer the player a contract, in the terms indicated by the exception. Turning now the attention, to EU law, the conclusions on why article 6(3) Annexe 4 current interpretation seems unfair and should be reformulated, point towards the same direction. The Bosman ruling and its most recent successor, the Bernard ruling, stand out as constant reminders that EU Law applies to the realm of European club football insofar as it constitutes an economic activity in the sense of Article 2 of the Treaty. It is nowadays unarguable that football is a real economic activity and that the regulations adopted by its governing bodies must respect EU Law as long as they apply in the territory of the EU, or in case the player concerned has a European passport and is transferring to an EU Member State. Only rules which are “inherent to sport” such as the rules of the game, and other “practices likely to be exempted” meaning, those activities not necessarily linked to sport but which are worth of protection, could potentially fall outside the remit of EU competition law (the sporting exception) as pointed out by the “Helsinki Report on Sport” in 1999. However, the decision in the Meca-Medina case went even further, overcoming the traditional distinction between rules of purely sporting nature from others, to determine that rules cannot be of purely sporting nature when they have economic repercussions, and consequently, making it possible to explore new legal avenues to test regulations that in principle may seem outside the scope of EU competition law (such as the doping regulations in Meca-Medina). According to Bosman and Bernard, training compensation is a practice worth of protection, but it is undeniable that its rules have strong economic implications, for they are expressly meant to financially reward football clubs involved in the training and education of players when these move to other clubs. For that reason, they fall under the remit of EU Law. However, it is my firm belief that Annexe IV of the FIFA RSTP has in many ways gone beyond the indications in Bosman, the Helsinki Report and later in Bernard. In this last case, the Court referred to a system meant to compensate and not reward training; and it is precisely that difference regarding the foundations of the system implemented by FIFA that leads to disproportionate results when the amounts to pay as training compensation are superior to the real costs incurred by the training clubs. All these issues jeopardize free mobility within the EU, for they restrict the chances of clubs to recruit players, and have an impact on the commercial relations between clubs and players in the sense of Article 101. By way of example, a Romanian football club registering a 21-year old player trained in Romania as a professional for the first time, would end up paying the training club a significantly lower amount of training compensation than a Hungarian club of the same category, wishing to sign that same player. The reason for that is that whilst in the first scenario the Romanian club would be subject to the internal training compensation mechanism; in the second scenario, the Hungarian club would be subject to the FIFA regulations that impose higher training compensations. With these premises in mind, the testing of article 6(3) Annexe IV of the FIFA RSTP under EU competition law seems appropriate, although the application of EU competition law in this type of cases will probably remain an exception. In short, Article 101 TFEU prohibits agreements, decisions of associations and concerted practices which may affect trade between Member States and have as their object or effect the prevention, restriction or distortion within the internal market. Saskia King, explaining the so-called “objective criterion”, has highlighted that “when determining whether an agreement restricts competition under Article 101(1) TFEU, ‘object’ expresses a true alternative to ‘effect’ and as such requires separate consideration”. Therefore, if the object of the agreement is anticompetitive, there is no need to look behind the effects. A primary aspect of competition law is the identification of the relevant market where a possible anticompetitive practice takes place. In the present context, the relevant market is the transfer market of football players, that is, the market on which the offer and supply of players meets and clubs compete against each other to recruit the best players. Geographically speaking, the market is limited to the territory of the Member States of the EU. As to the first question, it is my view that both the object and the effects produced by, article 6(3) restrict and distort competition between clubs, for they discriminate former clubs vis-à-vis previous clubs with regard to their right to claim training compensation. Additionally, the compensation limits the ability of clubs to take on players acting as free agent. Following the Meca-Medina reasoning, and focusing on the rationale behind article 6(3) Annexe IV, in the CAS award 2006/A/1152 ADO Den Haag v. Newcastle United FC, the CAS Panel corrected the view of the original DRC decision of 27 April 2006. Specifically, it remarked that the aim of the rule is “to ensure that no player, whether amateur or professional, in whom the training club has no interest, is impeded to accept the offer of another club because he carries some sort of ‘compensation price tag” rather than to penalize clubs failing to offer a contract to their amateur players. The unquestionably legitimate goal of “the exception to the exception” - as the Panel calls article 6(3) - is thus to limit the obstacles to the free mobility of players aforementioned. However, as to “whether the consequential effects restrictive of competition are inherent in the pursuit of those objectives and are proportionate to them” there cannot be a positive answer. To me it is doubtful whether the anticompetitive effects produced by establishing different conditions between former clubs and previous clubs are inherent or a necessary consequence to ensure the objective of rule (i.e. contributing to free mobility). I believe the contrary to be true. (i.e. uently,conditions ctive of the rule, tt of EU Law. by scholars.r compensation. in the application of such principle. nsatI bI be The effects generated by the current interpretation of article 6(3) collide with the aim of the rule (i.e. protecting free mobility), for reinstating previous clubs in their rights to claim training compensation irrespective of their behaviour vis-à-vis the player, compromises free movement within the EU and creates unfair competitive advantages for previous clubs. In conclusion, my suggestion is to rethink, the current formulation of article 6(3) (if not the entire training compensation system) and correct its detrimental effects by preventing all previous clubs that fail to offer players a professional contract or to show bona fide interest as from the season in which a player turns 16 years old from requesting training compensation. It is certainly not the role of the CAS to do so, but the responsibility of the EU Commission to take an active lead to ensure full compliance of football regulations with EU law. See FIFA Executive Committee, “Commentary on the Regulations for the Status and Transfer of Players”, Annex 4 (29 June 2005) at page 124. European Commission Press Release of 5 March 2001, “Outcome of discussions between the Commission and FIFA/UEFA on FIFA Regulations on international football transfers”. A bona fide and genuine interest in keeping the player must be demonstrated before the DRC cf. Arbitration CAS award 2009/A/1757 MTK Budapest v. FC Internazionale Milano S.p.A., award of 30 July 2009. FIFA Regulations on the Status and Transfer of Players, article 6(3) Annexe IV. In cases of subsequent transfer, the club entitled to claim training compensation will always be the “former club”. See para. 31 of the award. Although, the transfer structure used in this case could qualify as a bridge transfer used for the purpose of circumventing the FIFA regulations on transfer compensation. Decision of the Single Judge of the Sub-committee of the DRC case Budapest Honved FC (Hungary) v. AFC ASA 2013 Targu Mures (Romania) ref. TMS 243. Unpublished. See also FIFA RSTP, article 2 para. 2 of Annex IV. See the CAS award 2007/A/1363 TTF Liebherr Ochsenhausen v/ETTU, award of 5 October 2007 para 12 page 8: “10. By interpreting rules and regulations of associations, the starting point and the predominant element of construction is the wording (literal interpretation). Other elements such as the systematic context, the purpose and the history of the rule may contribute to the correct understanding of the meaning of the rule. This principle is accepted in both civil and common law and it has been constantly applied by CAS panels. It is also embedded in the law of Luxembourg (see, e.g., Art. 1156 of the Code Civil of Luxembourg) and the parties have not argued otherwise.” Emphasis added. 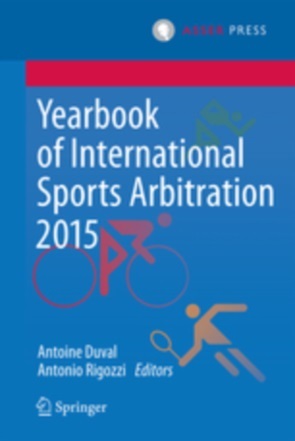 De Weger, The Jurisprudence of the FIFA Dispute Resolution Chamber, Asser Press, 2nd Edition, 2016. Page 401. See para. 22 of the CAS award 2006/A/1152 ADO Den Haag v. Newcastle United FC, award of 7 February 2007. See also Case 36/74, Walrave and Koch v UCI, ECLI:EU:C:1974:140. Case C-415/93, Union Royale Belge des Sociétés de Football Association and Others v Bosman and Others, ECLI:EU:C:1995:463, paras. 106-110. See FIFA Executive Committee, “Commentary on the Regulations for the Status and Transfer of Players”, article 1(2) and Annex 4 para. 1 (Objectives), page 112. S. Weatherill, European Sports Law Collected Papers, Asser Press, 2nd Edition (2014), pages 218 and 219. See Report from the Commission to the European Council of 10 December 1999 with a view to safeguarding current sports structures and maintaining the social function of sport within the Community framework – The Helsinki Report on Sport - para. 4.2.1.3: The Report refers to a system of objectively calculated payments that are related to the costs of training. 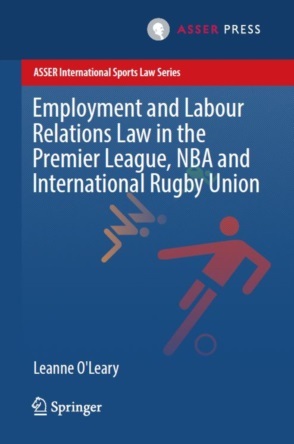 Case C-325/08, Olympique Lyonnais SASP v Olivier Bernard and Newcastle UFC, ECLI:EU:C:2010:143, paras. 44 and 45. As an example of this disproportionality, a simple comparison between the training costs established for Cat. III UEFA clubs (30.000 Euro per) with the training costs established for internal transfers by the Romanian Football Football Federation (5.000 RON per year equivalent to 1.107 Euro). Training compensation rules were recently tested against EU law, and in particular with regard to the freedom of movement of workers, by TAS-CAS in the Riverola case (CAS award 2014/A/Bologna FC 1909 SpA v. FC Barcelona). The award is not public, but a full comment and legal analysis is published in: Luca Smacchia, “The Riverola case: how the enforcement of FIFA rules may restrict the freedom of movement for workers within the EU”, Football Legal, #5 (June 2016), pages 20-24. See e.g. Ben Van Rompuy, “Sport and EU Competition Law: New developments and unfinished business”, Asser International Sports Law Blog (22 May 2015). “The distinction between "restrictions by object" and "restrictions by effect" arises from the fact that certain forms of collusion between undertakings can be regarded, by their very nature, as being injurious to the proper functioning of normal competition.” - Commission Staff Working Document of 25 June 2014, Guidance on restrictions of competition “by object” for the purpose of defining which agreements may benefit from the De Minimis Notice, page 3. Saskia King, “Agreements that restrict competition by object under Article 101 (1) TFEU: Past, present and future”, PhD Thesis – The London School of Economics and Political Science (2015), Page 28. “The combined investment of summer and winter transfer windows in the top five European leagues was almost €3.4 billion. That was up by 29 per cent versus last season and again a record high ever.” - Soccerex Transfer Review Winter Edition 2016, Prime Time Sport, page 4. For an in-depth economic data analysis see, e.g., FIFA T.M.S., Global Transfer Market 2012 Highlights, pages 14 and 15 – Overall Market Activity - and pages 23 and 24 - Player Age. David Nilsson, “The Revised FIFA Regulations for the Status and Transfers of Players’ Compatibility with EU competition law – the Transfer System revised”. Master Thesis. Faculty of Law - University of Lund, (September 2006). Doping rules under EU competition law. See para. 20 page 7 of the award: “The Panel does not share the DRC’s view that the purpose of the first sentence of Article 6 para. 3 is to penalise clubs which do not offer professional terms to their amateur players. Rather, in the Panel’s opinion, the purpose of the above provision is to ensure that no player, whether amateur or professional, in whom the training club has no interest is impeded to accept the offer of another club because he carries some sort of “compensation price tag”. Editor’s note: Josep F. Vandellos is an international sports lawyer associated to RH&C (Spain). De- or Re-regulating the middlemen? The DFB’s regulation of intermediaries under EU law scrutiny at the OLG Frankfurt. By Antoine Duval and Kester Mekenkamp.